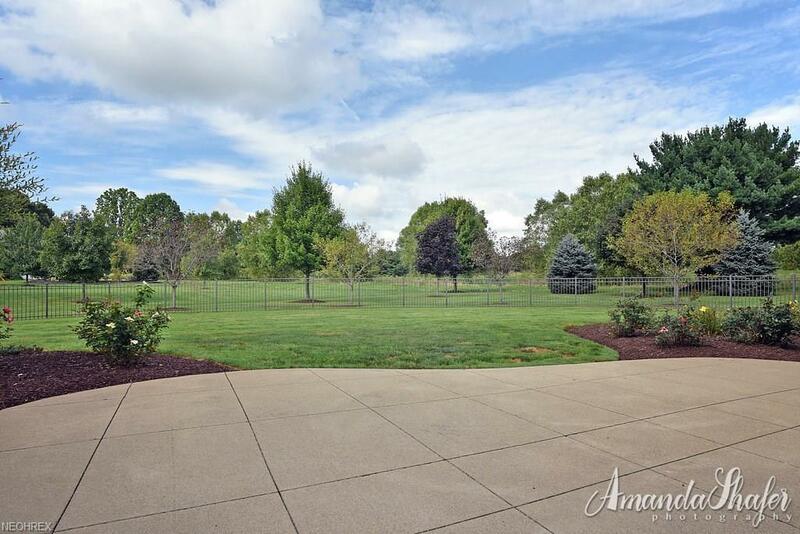 Beautiful Ranch located in Jackson Township. 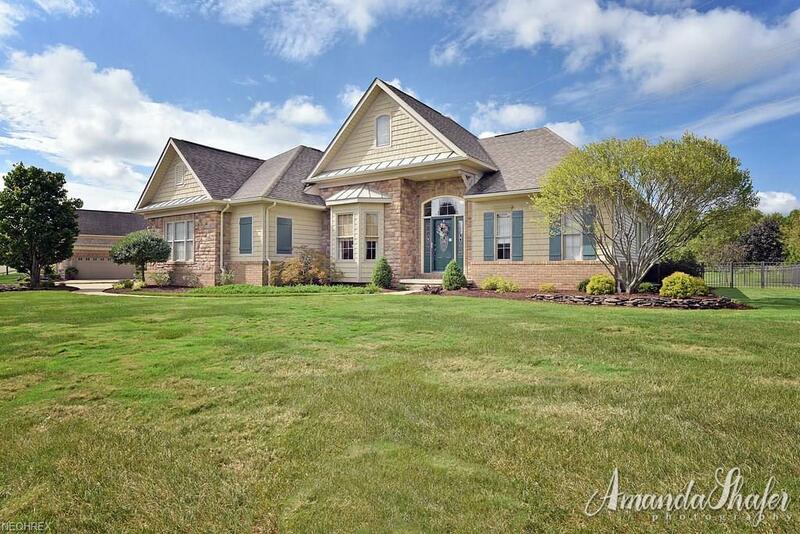 The home has fabulous curb appeal and walk inside and see a beautiful open floor plan. 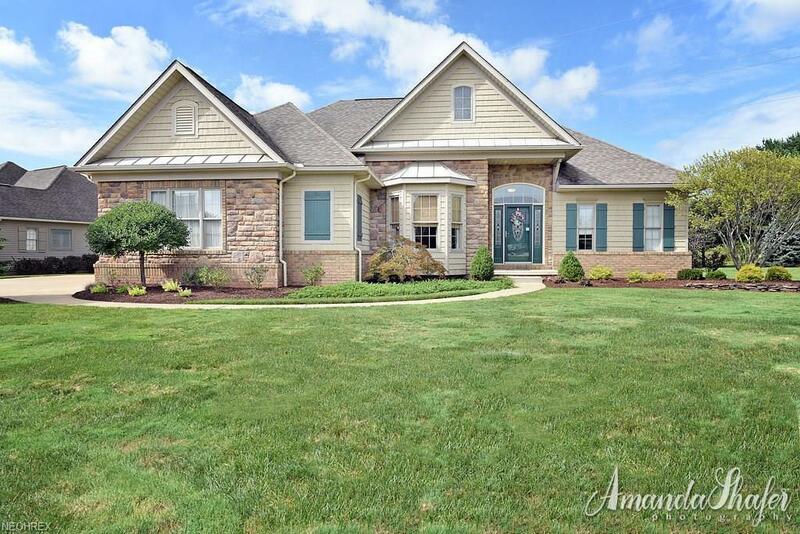 As you walk to the front door and enjoy the beautiful landscaping you enter into the home you are welcomed by an open concept floor plan. The foyer is welcoming and there is a stunning dining room/den area that opens to the large vaulted ceiling great room with gas fireplace. The Great room will accommodate all size and style of furniture. Then the open kitchen has stunning maple cabinets and granite eat in bar. The kitchen will include range, refrigerator, microwave and stove. Open to the kitchen is the warm and welcoming hearth room with fireplace. Enjoy those upcoming fall nights and winter months in the warm and cozy hearth room. This home is a split bedroom ranch floor plan which means master on one side and two bedrooms on the other side. The master bedroom is large with vaulted ceilings and will hold that large bedroom furniture. There is a large master bathroom with double vanities, shower, tub. Large Master Closet. The other 2 bedrooms are nice size, barely used and two large closets. The home has a 1st floor laundry room with cabinets. Large patio off hearth room that leads to a fenced back yard. Home also has a large heated garage, 13 course full basement, vac-u-flo, 13 zone irrigation system that covers the entire yard, and 9 foot door, security system and more.. Strausser Elementary. Call Today!